Skills and abilities: Brilliant scientist and inventor. 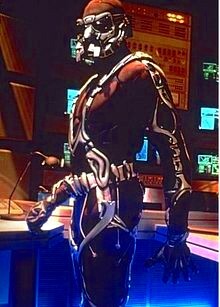 Powers: The M.A.N.T.I.S (Mechanically Augmented Neuro Transmitter Interception System) suite granted its user many superhuman abilities as well as connecting the neural pathways of the spine allowing the crippled Dr. Hawkins to regain mobility. It also granted him superhuman strength, speed and agility. Dr. Miles Hawkins was a brilliant scientist who managed to start his own company. Jealousy from rivals however caused him to be shot by a corrupt cop. This resulted in damage to his spine, he then obsessively researched a way to overcome his inability to walk. Working with John Stonebrake he created the (Mechanically Augmented Neuro Transmitter Interception System), M.A.N.T.I.S for short. Once he wore the suit however he found that it not only granted him mobility but superhuman powers. Along with his high tech car “The Chrysalis”, he battled crime as a vigilante. After many adventure he was eventually killed by an invisible T-Rex. I admire your dedication with this blog. Keep it up. It greats that you are calling attention to MANTIS, but I would suggest you revisit the pilot episode. The original pilot provided a much more Afrocentric take on Mile Hawkins and doesn’t cushion the audience with white sidekicks. It is quite a contrast to the network premiere pilot. I’m a fan of the whole series, but the contrast within those two pilots is worth examining.